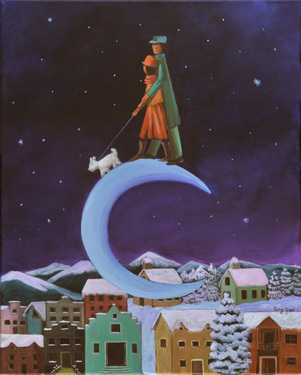 This past winter, my husband and I enjoyed taking moonlit walks. Wells is a quiet and romantic small town, and since we've been here our friendship has deepened and we've gotten closer. We've always embraced change and we've accepted the challenges on our path. We've discovered that through the struggles, we've found peace and love. We've always followed our dreams, and one day there'll be a little dog tagging along on our moonlit walks.